The union representing nearly 60,000 professional public servants has filed two policy grievances against the federal government demanding Ottawa "immediately pay all monies owed." The union representing nearly 60,000 professionals in the public service has filed two policy grievances against the federal government, accusing it of continuously violating their collective agreements since the troubled Phoenix pay system was launched in February 2016. Policy grievances are filed on behalf of all union members, rather than an individual. The Professional Institute of the Public Service of Canada, PIPSC, however, has already filed nearly 600 individual grievances on behalf of its members. 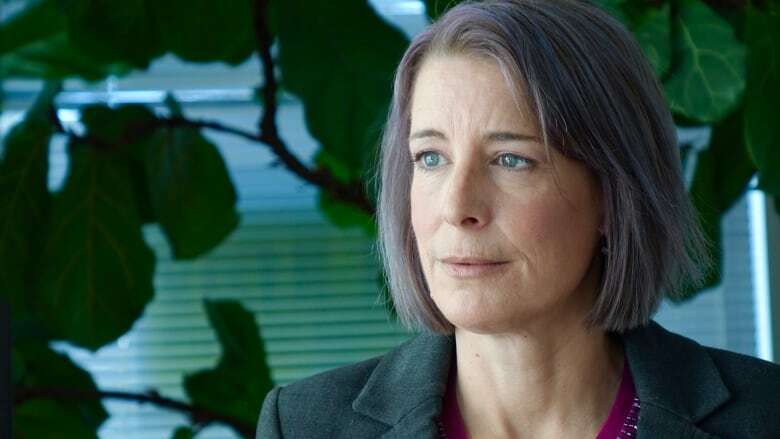 "It is the last remaining formal thing we can do," said PIPSC president Debi Daviau, explaining that legislation prohibits them from filing a class action suit. "We don't expect these grievances will expedite actually getting people paid," she said. "We expect...they will help to make people whole when they do finally get paid. "It goes beyond just paying people what you owe them," she says. "It goes to compensating them for the havoc you've wreaked on their lives." Ottawa adopted a new consolidated pay system called Phoenix last spring. Since then, tens of thousands of federal public servants, retirees and employees on leave have reported problems with their pay. Some have been overpaid, some paid too little and others have not been paid at all. The first grievance accuses the federal government of making "continuous and on-going errors in pay." The second grievance is linked to a failure to properly compensate workers for disability and maternity/parental leave benefits. The union argues those problems not only violate the collective agreements, but also the Canadian Human Rights Act. PIPSC demands that the employer "immediately pay all monies owed." The union is also asking the federal government to "pay members accurately and in a timely manner" and to "process all information related to disability and maternity/parental benefits in a timely manner." Daviau says after nearly a year and a half of lobbying and trying to work with the government, there is still no permanent fix in sight. "We're doing our best to contribute to the solutions but the solutions are too slow coming and at this point we start to worry it will be a very long time still until all of the kinks are ironed out of the system, if ever." Daviau acknowledges it is an unprecedented situation for an employer to be willing to try and fix a problem but not have the ability to do so. Although she points out that whenever public servants go to the media or to their union, somehow issues are solved. The last public update from the government in early March put the number of outstanding pay "transactions" at 284,000 or about a three month backlog, with hopes the situation will get to a steady state as soon as possible. But Daviau says she does not believe the government's numbers, arguing the situation is far worse than the federal government is willing to admit. She says reaching that steady state is a long way off because the government hasn't accounted for new collective agreements or for incoming summer students. And Daviau says many public servants are so wary of Phoenix that they are not reporting changes in their work situation, such as a secondment or a temporary acting position, because they fear doing so will mess up their pay. But eventually these changes will have to reported and retroactively entered into the system, a shadow backlog of sorts that Daviau says the government has also not accounted for. A spokesman from Treasury Board President Scott Brison's office said efforts are ongoing to resolve remaining issues. "We are working closely with public service bargaining agents to resolve these issues as quickly as possible and minimize impacts on employees, and to put in place the necessary measure to ensure affected employees are made whole," he said in an email.